Preheat oven to 350 degrees F. Spray a 13x9-inch baking dish with nonstick spray. Pour apples into a single layer into prepared pan. 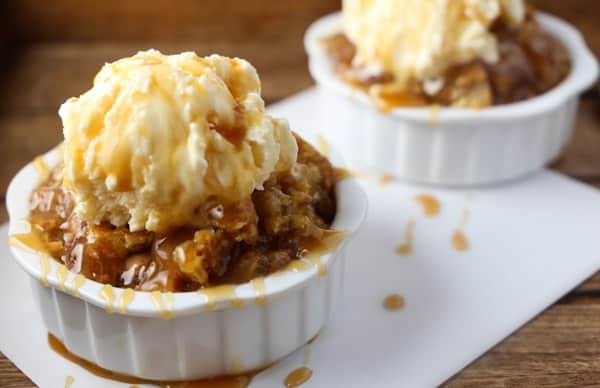 Drizzle Jimmy’s Caramel Dip on top of apples. Sprinkle cinnamon on top then spoon walnuts on top in even layer. Sprinkle cake mix on top so that apple mixture is completely covered. Drizzle melted butter on top. Bake dump cake at 350 degrees F for 45-60 minutes or until golden brown. Serve warm or cold. Store in refrigerator.